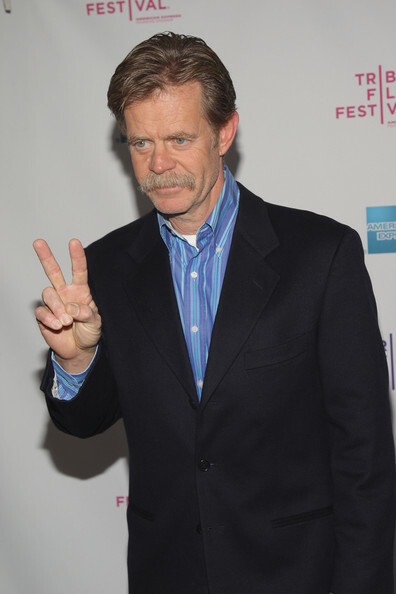 This image was adapted directly from our 2010 preview page, though I’m not sure we had the glasses in mind then, let alone the William H. Macy vibe. Had we not done the preview, would we have used this cover image? I think so, even though it’s a more direct rendition of a main character than was usual for us. A shot of a keyboard or just the glasses or even some video-game iconography would just be missing something. Had we gone that route, HR would have been hiding his little side project with the catatonic gamers in tubes not only from the outside world but from the other suits, whom he’d get rid of by increasingly ruthless means as he prepared to take advantage of the goldmine that is fully-immersive 24-7 VR gaming. That could’ve been fun, but it would’ve pulled too much focus from the heroes. We needed to establish Syr’Nj, Frigg, Byron, Gravedust, Bandit, and even Best as “real” if you guys were going to care about them instead of just seeing them as extensions of the people in the tubes, and that meant delaying any action outside of Arkerra until right now. 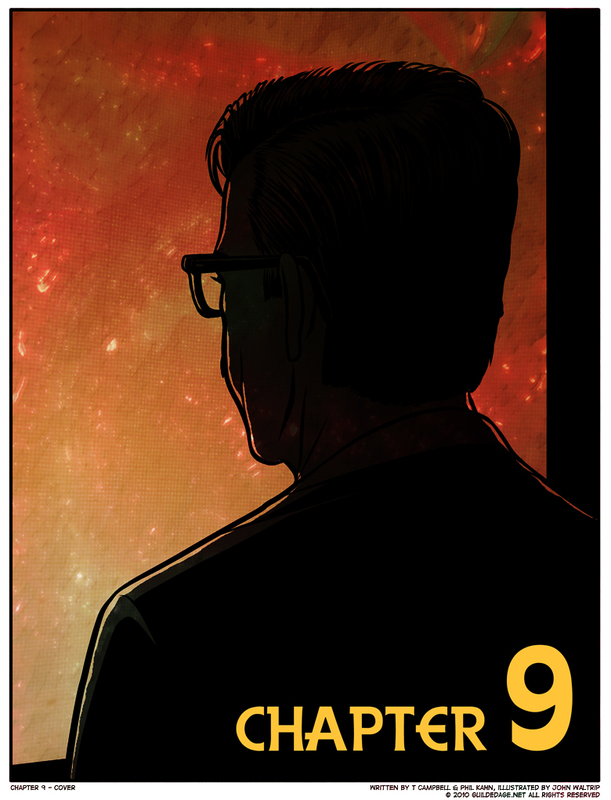 It sure looks to me like he’s wearing glasses in the preview page — you can see the silhouette of one lens. I suppose… coulda been just an eccentrically drawn head-shape, but you’re probably right. As played out as “villains wants to become GOD” is, I personally prefer it to “Company War of Succession” in this case, because it feel very disconnected to the game. He’s gonna start betraying and killing the high powers of the company. What then? He keeps the game and gets mad money. How would that interact with The Five? How would they find out or care? With HR wanting to take over this world and become a god, there’s a direct conflict. Besides, there’s an in-game War of Succession. Too many parallels is too many! I dunno. One of my only complaints about the sepia-world plot was that it confused me so much why H.R. would want to “dive in” and leave “meatspace” behind if the possibility existed that he couldn’t return to it. When we first met him, it seemed to me that he had motives in sepia-world, outside of the game, and it felt to me like that’s the first thing that Carol would have reminded him of, when he brought up his last-ditch plan to get The Five out by entering Arkerra – if she cared about him as much as she later claims. By the time things progressed that far, however, he seemed to have exchanged those motives with a desire for undisputed control over Arkerra’s “plot”. That’s the point at which the “villain wants to become god” trope even arrived, in this comic. Prior to that, what we had was “genius modern wizard has trouble with the finer details of magic tech”, which I felt was comparatively very original (and, no offense to the authors, I would still have liked to have seen play out differently). The sudden shift from the latter to the former was about the only thing that restrained my interest in the story of Guilded Age at all, and only because it seemed very sudden to me. That’s a really good point about the main characters feeling real (within the story). The ending would’ve been a lot more of a downer if we had been emotionally invested in the tube people from the start. Well, at least you know who to cast, for the eventual HBO series. Movie? Ha, this is way more than even a trilogy could fit.